Miriam Dunn, University of Edinburgh and IMPRESSIONS Scottish case study leader, gives an update on the recent IMPRESSIONS workshop, held at the Edinburgh Centre for Carbon Innovation in autumn. The IMPRESSIONS (IMPacts and Risks from high-End Scenarios – Strategies for InnOvative solutioNS) project aims to increase our understanding of the consequences of high-end climate change, and in so doing to support adaptation strategies of stakeholders. It is a major EU-funded project that includes Scotland as a case study. It will build upon the scenarios developed by the CLIMSAVE project, but this time focus on decision-makers’ strategies for dealing with the impacts of high-end (>2°C) climate change in Scotland. 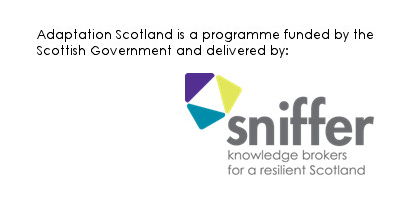 The project brings together researchers as well as stakeholders from both policy and practice and from varied sectors across Scotland. Stakeholders are an integral part of the IMPRESSIONS (IMPacts and Risks from high-End Scenarios– Strategies for InnOvative solutioNS) project and continue to contribute positively to the project. The purpose of the first workshop was to link the CLIMSAVE Scottish scenarios to the new IPCC AR5 Shared Socio-economic Pathways (SSP) approach and to explore the implications of high-end climate change for Scotland. On the 22nd September, 17 stakeholders from a wide range of organisations with an interest in land resource management in Scotland participated in a one day workshop with researchers as part of IMPRESSIONS. The workshop was a great success and provided an opportunity for stakeholders and researchers to co-create knowledge. In the lead up to the workshop, 20 stakeholders from organisations within land resource management sectors across Scotland, including but not limited to forestry, agriculture and tourism, participated in in-depth interviews. The interviews formed the basis of a user needs assessment (a foundation of the project). They focused on the individual, behavioural and institutional conditions, and the decision-making processes that underpin adaptation within these organisations, particularly adaptation to high-end (more than 2°C) climate change. The day featured facilitated breakout sessions during which stakeholders reviewed and further developed plausible socio-economic storylines of what the future might look like for Scotland. This involved linking the CLIMSAVE Scottish scenarios to the new IPCC AR5 Shared Socio-economic Pathways (SSP) approach and exploring the implications of high-end climate change for Scotland. Stakeholders also contributed their visions for Scotland in the year 2100 – that is, what they would, in an ideal world, like the country to be like by that point. A diverse range of viewpoints were represented, resulting in discussions that were lively but that more often than not reached consensus! The outcomes of the workshop are being used to feed back into the project over the next 2 years to identify adaptation and mitigation pathways (and policies) to address climate change impacts; to develop action plans and empowering narratives; and most importantly, to support adaptation strategies of stakeholders within the land resource management sectors in Scotland. A key goal is to create better contextualised and more usable information about adapting to climate change. If you are interested in being involved in one of the two future workshops, please feel free to get in touch. 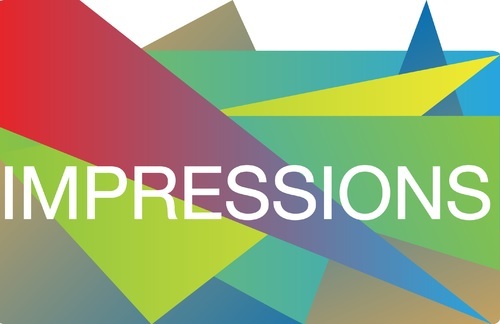 Further information about the project can be accessed on the website (www.impressions-project.eu) or by contacting Miriam Dunn (miriam.dunn@ed.ac.uk). This entry was posted in Uncategorized on November 5, 2015 by Adaptation Scotland.